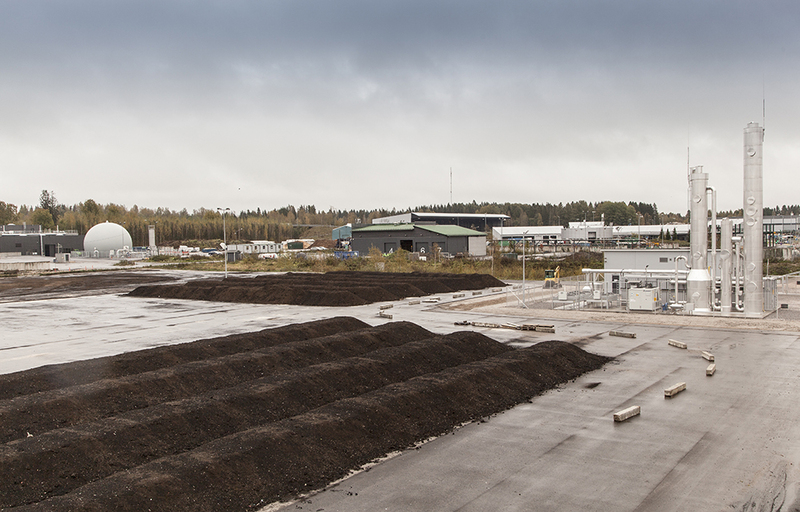 LABIO produces a fresh compost product called Kujala cultivation compost –as well as one called Kujala soil improvement compost.Our quality compost products are delivered in whole to be used in agriculture, in making growing substrates and on a case by case basis for different technical applications. The further processing and distribution of our compost products is taken care of by our partner organisations. Kujala cultivation compost is an ecologically sustainable fertiliser product that is suited to such uses as eg. grain- and energy crops, as well as for landscaping and erosion prevention. Fresh compost has good moisture- and nutrient retention properties and it improves the soil’s aggregate structure and fertility. Agriculture with the continued use of cultivation compost significantly increases the amount of nutrients available to the plants and enables efficient arable farming. The product Kujala cultivation compost is used in arable farming according to the cultivation plan of the farm in question, and the nitrogen, phosphorus and potassium replace the need for other fertilisers. In addition, the use of fresh compost improves the physical, chemical and biological quality properties of fields. The amount of cultivation compost that can be spread with a modern precision spreader is about 500 – 1000 m³ per day. This is a high quality compost for soil improvement, which has been matured for longer than Kujala cultivation compost. It is suited for use as a raw material component for high quality growth substrates, for soil improvement and erosion prevention. The product is consistent in quality and hygienic, and contains no weed seeds. Kujala soil improvement compost is delivered for further processing to soil producers, who use it as one of the raw materials for soil.